Winnipeg bracing for planned “shock and awe” attack. mood ruff is shooting the video for their debut single, No Hooks. Ofield, Midnight Breakers and Fliproc also make their music video debut, which included scenes shot in the parking lot of what is now known as The Academy. 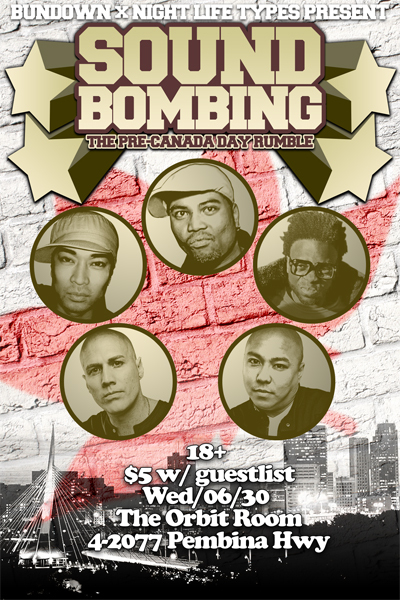 This team of hip hop representatives – who are later joined by another Winnipeg original, DJ D-LO – would grow to become flag-bearers of Winnipeg hip hop culture: Bundown Sound System and Night Life Types, who in their combined history can be credited for laying down the foundation of the city’s hip hop scene. Returning to their roots at The Orbit Room, the two sound crews will join forces once again to continue what they began: to celebrate and promote hip hop culture. New nightlife experience for summer. Unlike the neon sheen of the decade before, the 90s were heavily influenced by styles developed in the hip hop community. It was not uncommon to see everything from baggy Karl Kani jeans, Starter throwback jerseys and Timberland boots to Dickie khakis, loc-style sunglasses and Chuck Taylor sneakers in markets across North America. Top spots on the R&B, Rap and Pop charts were dominated earlier in the decade by the boom-bap stomp of the East Coast before giving way to the g-funk stroll of the West Coast while Hip Hop Soul eventually gave rise to Neo Soul. Hip hop as a culture had grown; many often reminisce and reflect on the decade with fondness. And so on Saturday, June 12, we celebrate the 90s. Now. 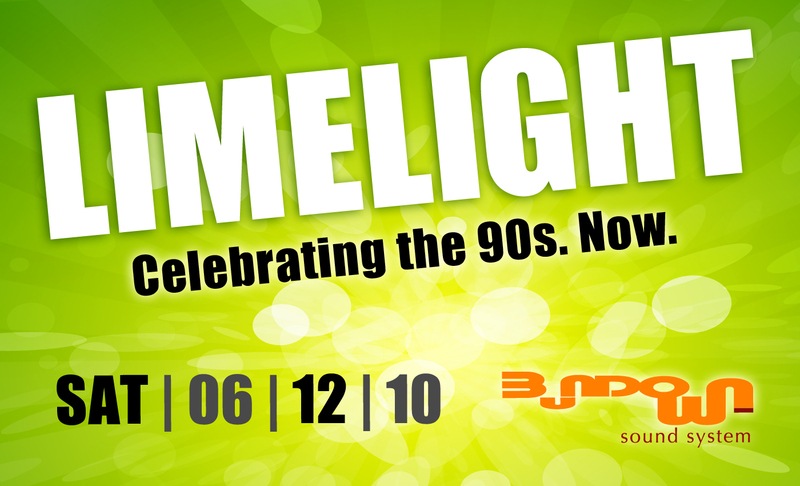 | LIMELIGHT | …celebrating the 90s. Now.